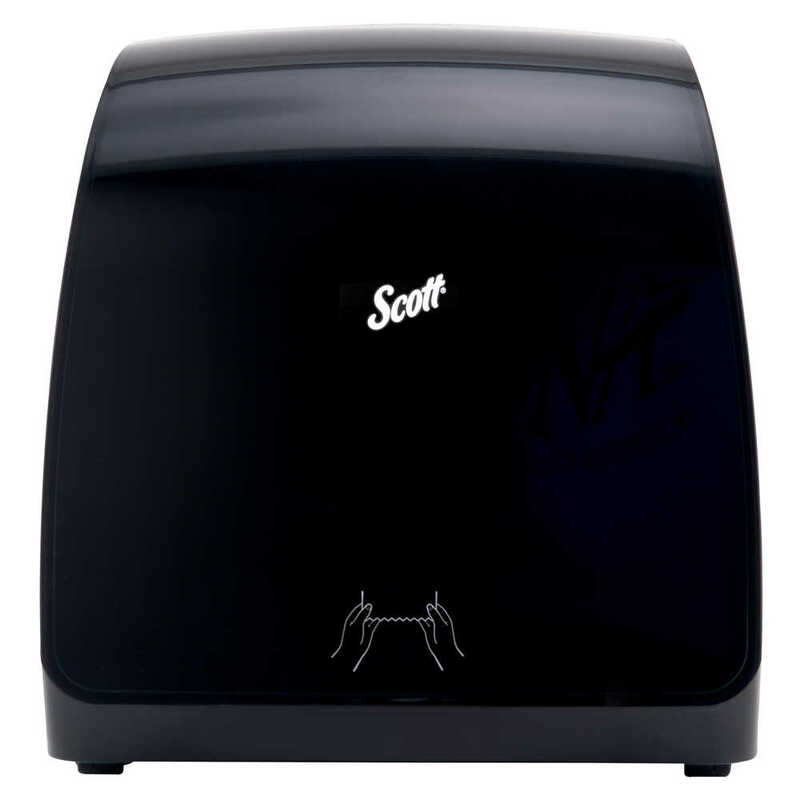 12.65" x 13.02" x 7.18" 12.65" x 13.02" x 7.18"
Scott Control provides enhanced hygiene solutions for critical environments. 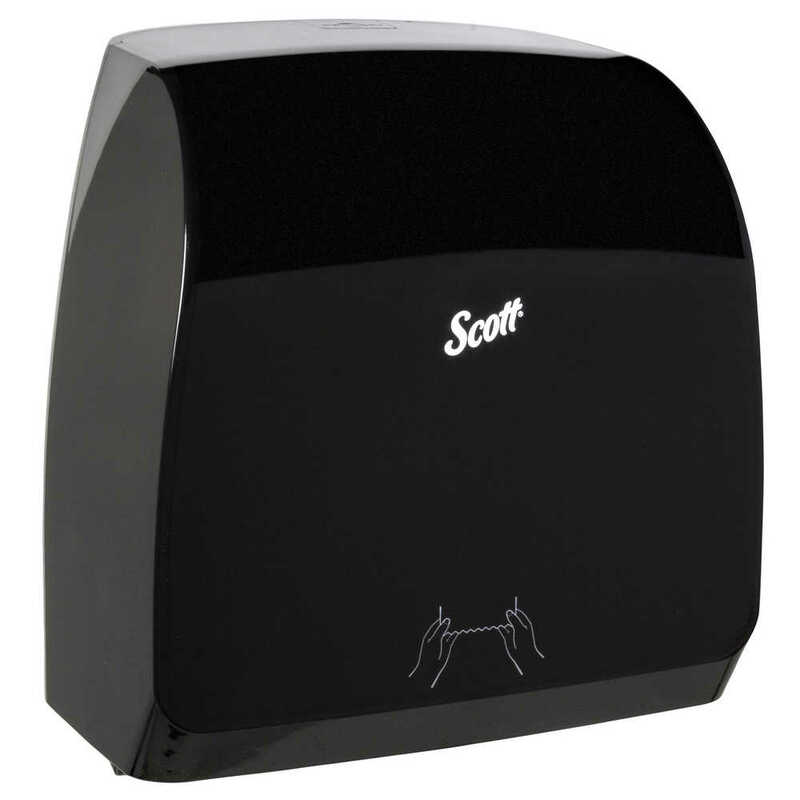 With the Scott MOD Slimroll Hard Roll Paper Towel Dispenser, you can wall mount a high-capacity paper towel dispenser even in small spaces. 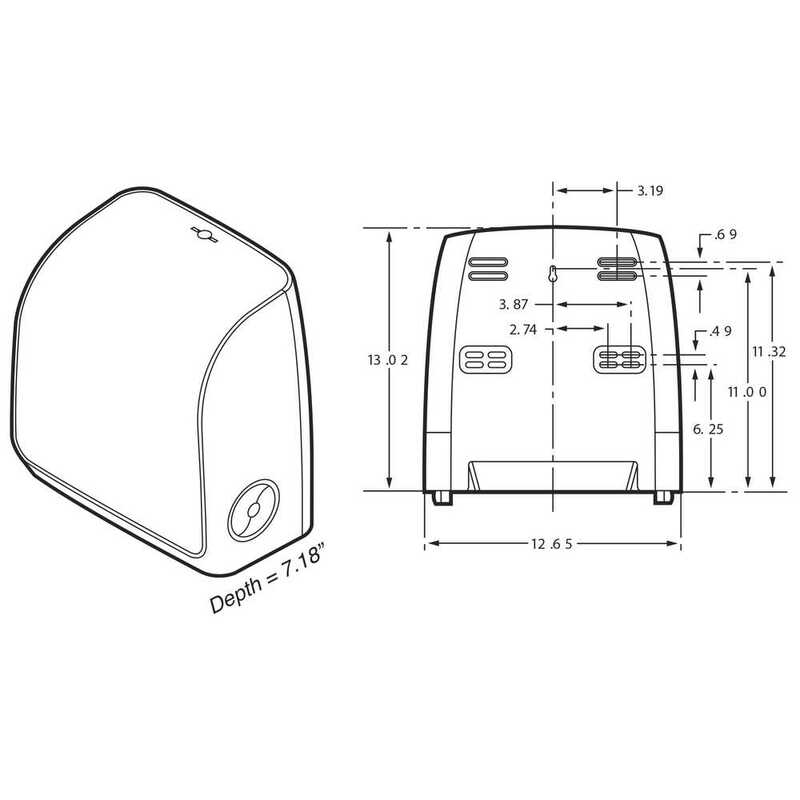 The dispenser features the sleek, contemporary MOD design, and provides three times more hand dries per unit with 20% fewer refills than folded towels. It’s a smart way to reduce run outs and maintenance. 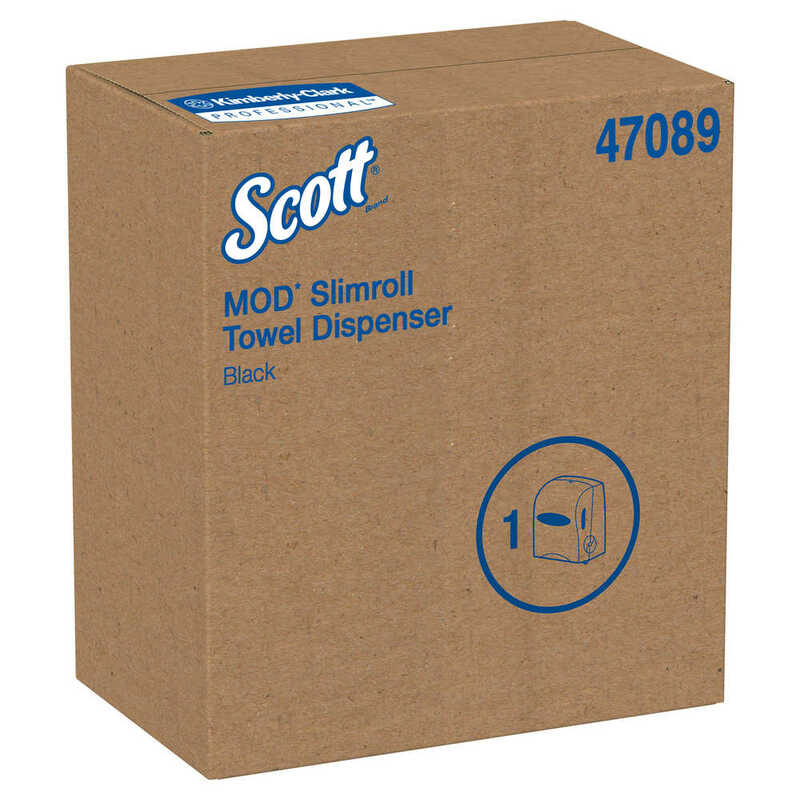 The MOD Slimroll Dispenser offers a quick-load design for easy refills, a key or keyless entry and is manually operated, so you’ll never need to worry about replacing batteries. 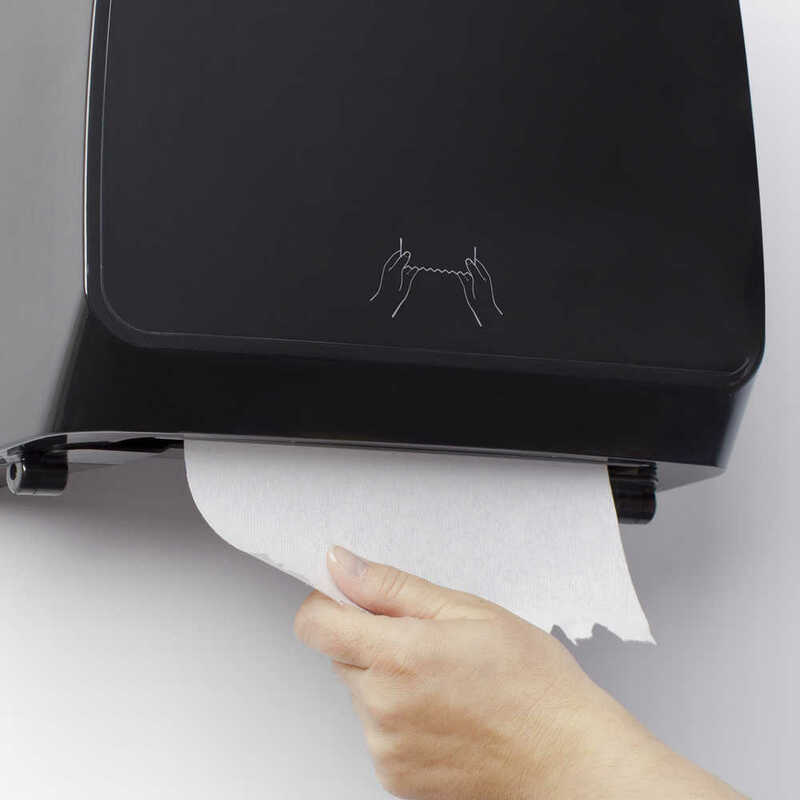 With the Slimroll Paper Towel Dispenser, the ultra-compact size lets you wall mount it close to sinks in tight places – such as a nurses’ station or tiny classroom sink – and keeping it close to the water helps reduce drips and slips. The touch free system is designed to be hygienic, which means you’ll only touch the towel you use. It’s a manual system (no batteries required) and it efficiently perforates the towel when you pull to advance. It’s ADA compliant when mounted according to instructions and when using recommended product and is easy to install and load. 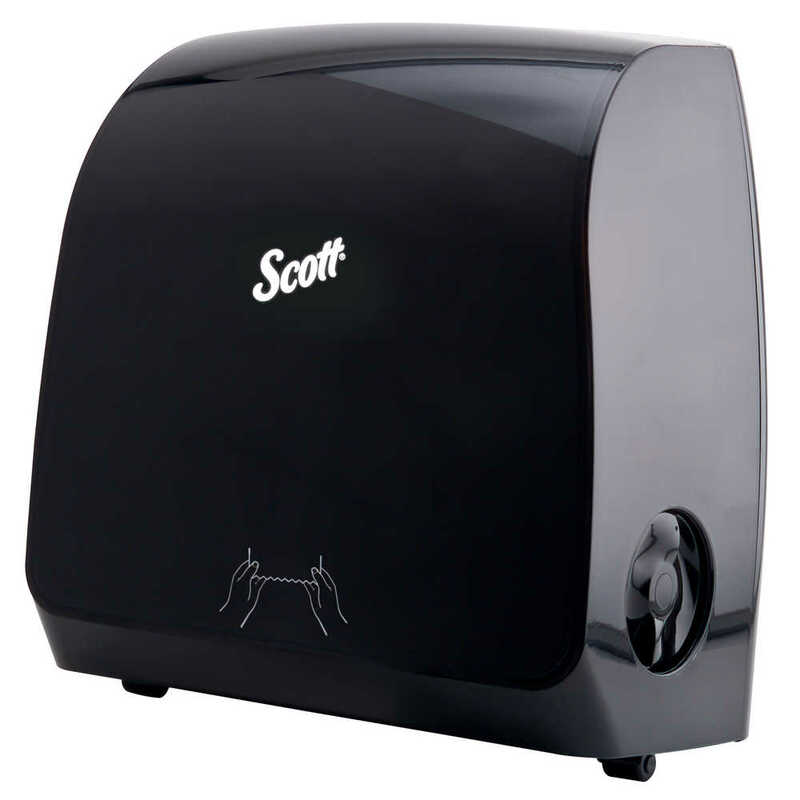 Don’t let the small size fool you: it holds a Scott Slimroll paper towel roll (PINK core) of 580 feet long, so you can reduce maintenance and refilling time.